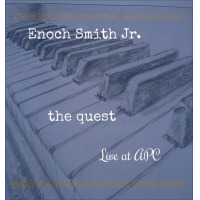 Growing up in the Pentecostal Church of God by Faith (in Rochester, NY) has been the biggest musical influence on pianist Enoch Smith Jr. He titled his 2010 self-produced debut Church Boy and continues to serve as full-time Director of Music and Worship and pianist for Allentown (NJ) Presbyterian Church. "Growing up and playing mostly in church, you get a whole different side of what music is all about," Smith explains. "For me, it was always more of a spiritual connection than a connection of the head." 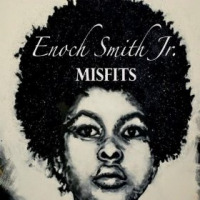 Smith's original Misfits, released in 2011, focused on his own, self-taught jazz style compositions and his core ensemble: Bassist Noah Jackson, drummer Sangmin Lee and vocalist Sarah Elizabeth Charles. 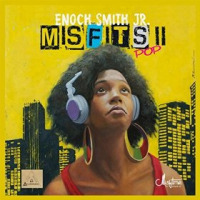 Misfits II: Pop keeps Smith's ensemble intact but changes their target by expanding into pop, hip-hop and gospel music, It also marks the first release on Smith's own MisfitMe label. Misfits II: Pop aims at your heart and your head and squarely finds both marks. Smith bravely begins by reconstructing The Beatles' "Yesterday" to feature Charles declaring "I believe" over and over in a jazzily soulful (soulfully jazzy?) voice, turning one of the most covered songs in pop history into a spiritual journey into faith. For "You Got Me (Sometimes)," Smith wrote a second melody and set of lyrics into "You Got Me," a 1999 hit for The Roots featuring Erykah Badu. Smith builds his original "Everything's Alright" like a Herbie Hancock Headhunters' tune, with acoustic piano, a propulsive electric bass line and hard-rockin' drum beat; Charles' voice dives just a bit deeper and darker, while the pianist solos like a swordsman, deft and aggressive and sharp. 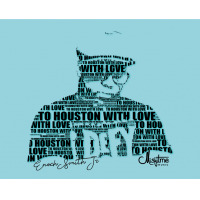 Smith doubles down on "Sweepin' through the City," a standard in Shirley Caesar's concert repertoire for more than fifty years, casting one version in straight-ahead acoustic jazz and a second in elastic hip-hop featuring New Orleans rapper Dee-1. "I grew up hearing that song at least three or four times every week," Smith recalls. "I wanted to pay homage to this great songwriter and composer, Shirley Caesar, who's had a great career but who outside the gospel world is virtually unknown." But vocalist and pianist most brightly shine on "One of Us," Smith's insightful reflection off of Joan Osborne's pop spiritual hit. His sparse, almost classical, arrangement mines profound gold from the original's curious and contemplative mood, while Charles' intuitive vocal bridges the bandstand and the pulpit. It's the sound of Smith wondering out loud if genuine people who attempt to communicate deeply and honestly with others may feel like Misfits in our age of instant, disposable digital communication. "As technology improves, our humanity just kinda declines and our value for each other is depreciating," he muses. "This record embodies that concept: What if you look at everyone like that person is a reflection of God, then how would we treat each other?" Track Listing: Yesterday; Everything's Alright; One of Us; One Thing; A Misfit's Theme III; Sweepin' through the City; You Got Me (Sometimes); Sweepin (Stairwell Intro); Sweepin; through the City. 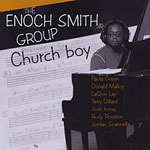 Personnel: Enoch Smith, Jr.: piano; Noah Jackson: bass; Sangmin Lee: drums; Sarah Elizabeth Charles: vocals; Dee-1: vocals; Nate Anderson: vocals; Renee Anderson: vocals.